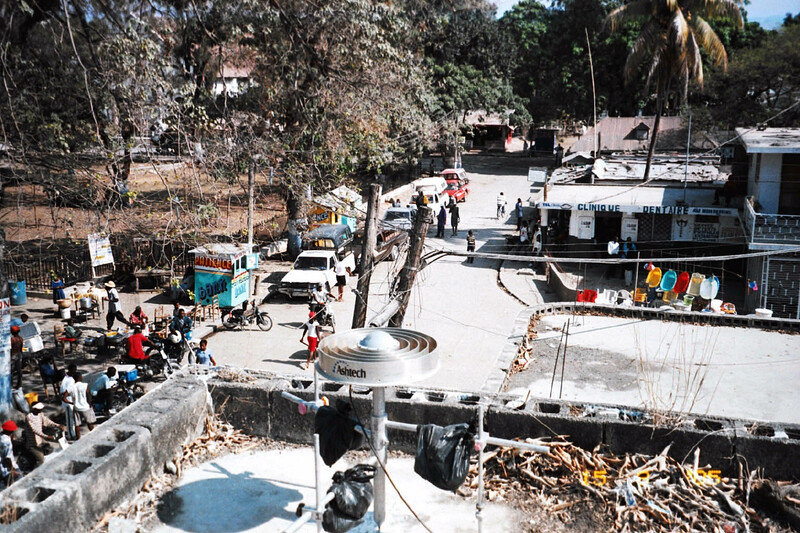 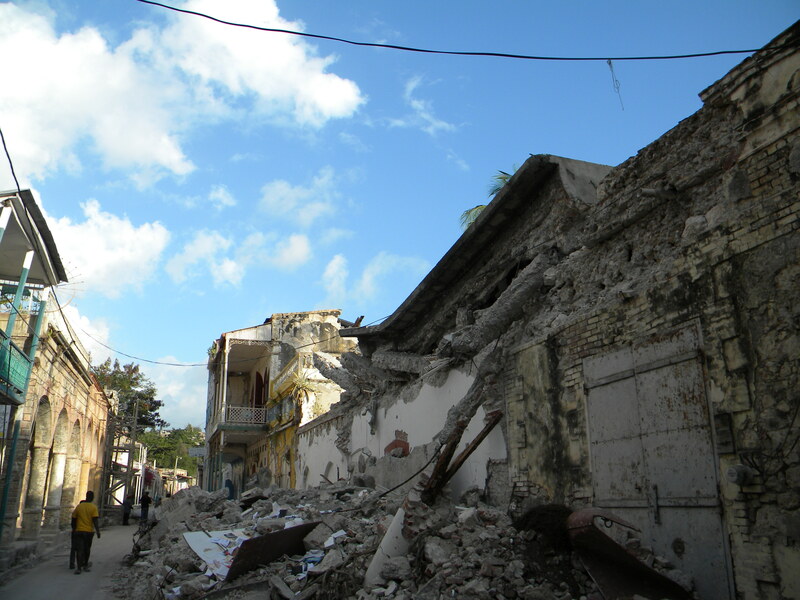 Damage in downtown Jacmel, Haiti, from the Jan. 12, 2010, earthquake. 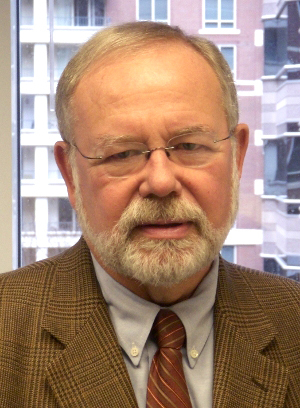 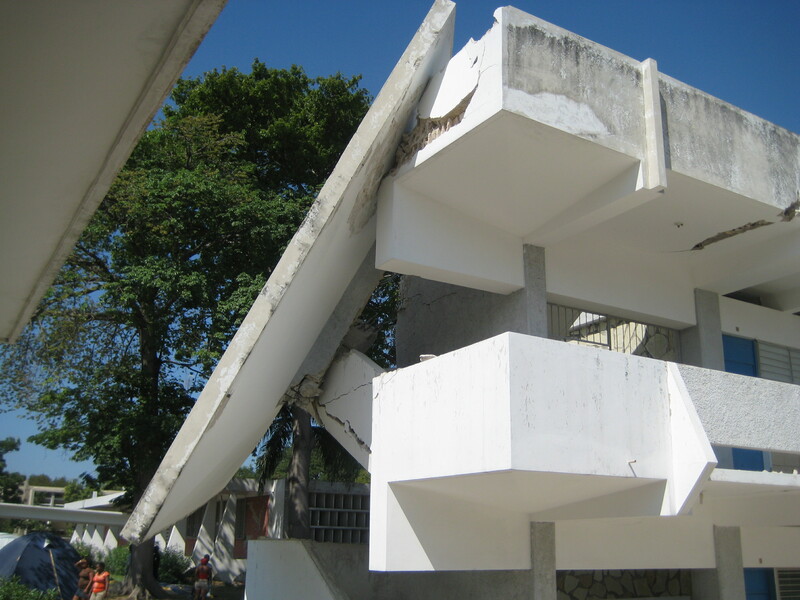 Structural engineer Reginald DesRoches of the Georgia Institute of Technology speaks with CNN newscaster Christianne Amanpour about the future of Haiti following the Jan. 12, 2010, earthquake. 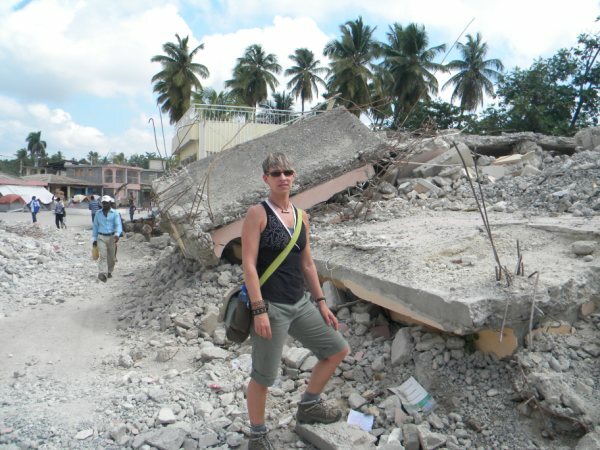 Social scientist Liesel Ritchie of the Natural Hazards Center at the University of Colorado at Boulder stands next to rubble in one of the most heavily damaged areas in Jacmel, Haiti. 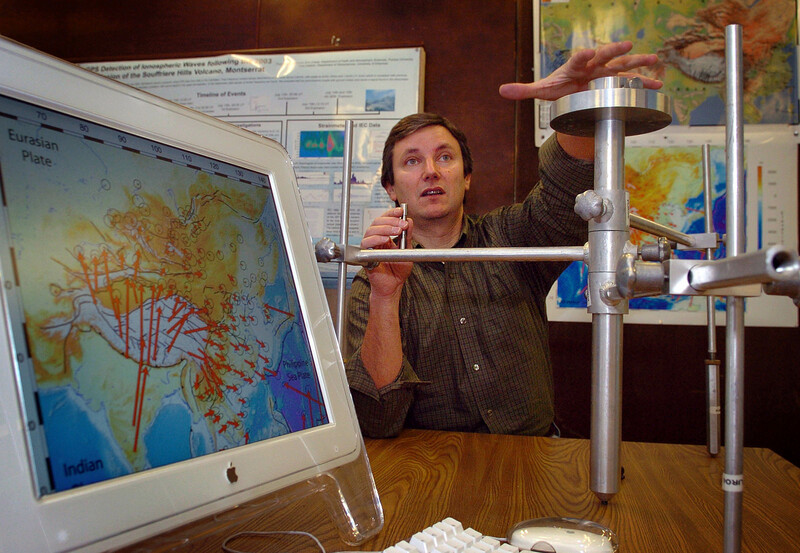 Geophysicist Eric Calais of Purdue University holds a geodetic marker that tracks small Earth movements and helps scientists monitor even the tiniest motions along fault lines. 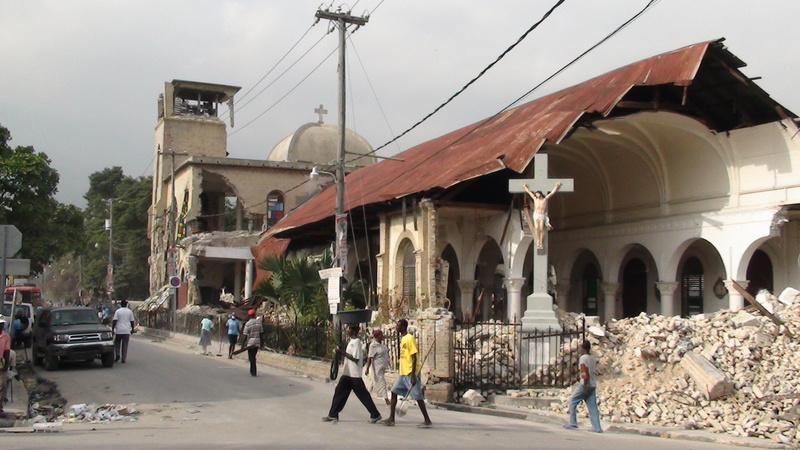 Damage at Sacred Heart Church in Haiti following the earthquake. 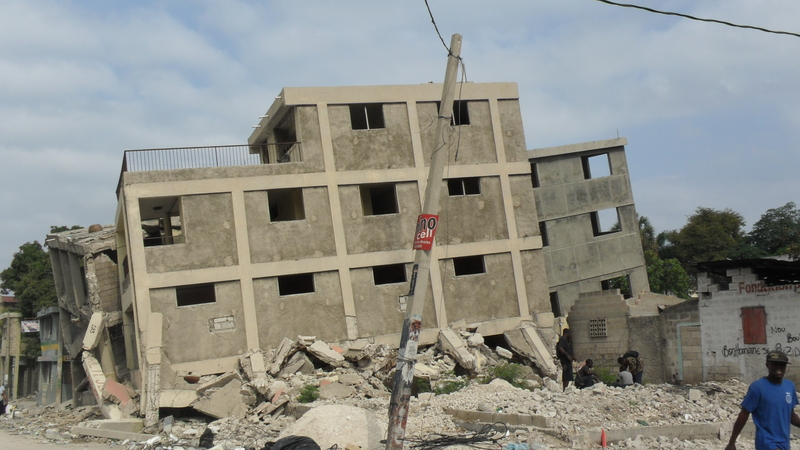 A reinforced concrete building that collapsed during the earthquake in Haiti. 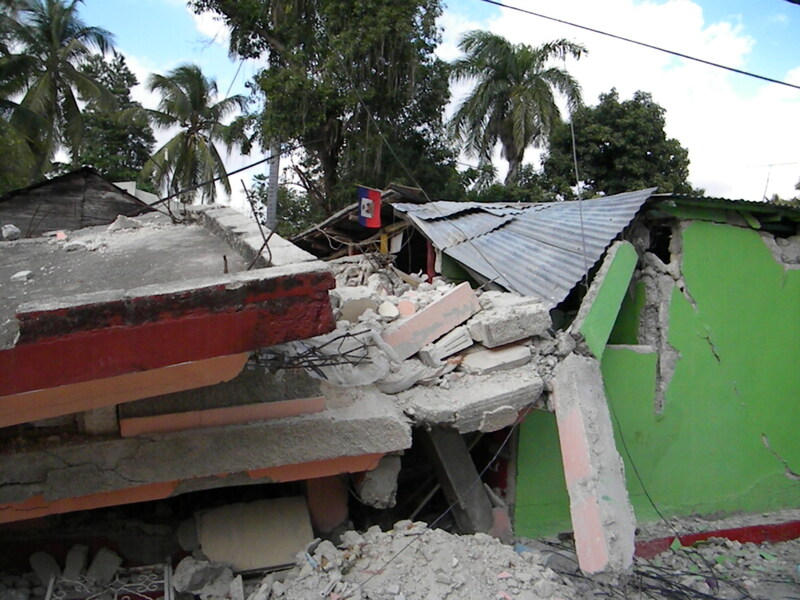 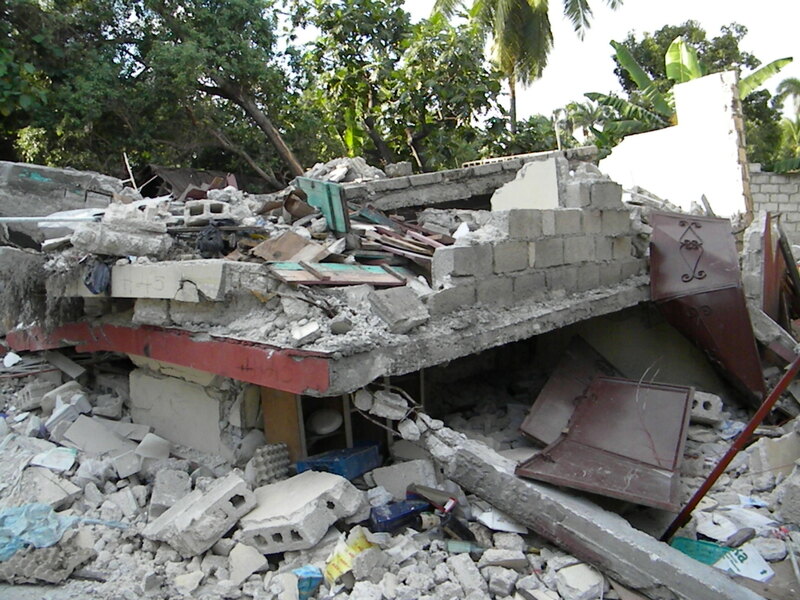 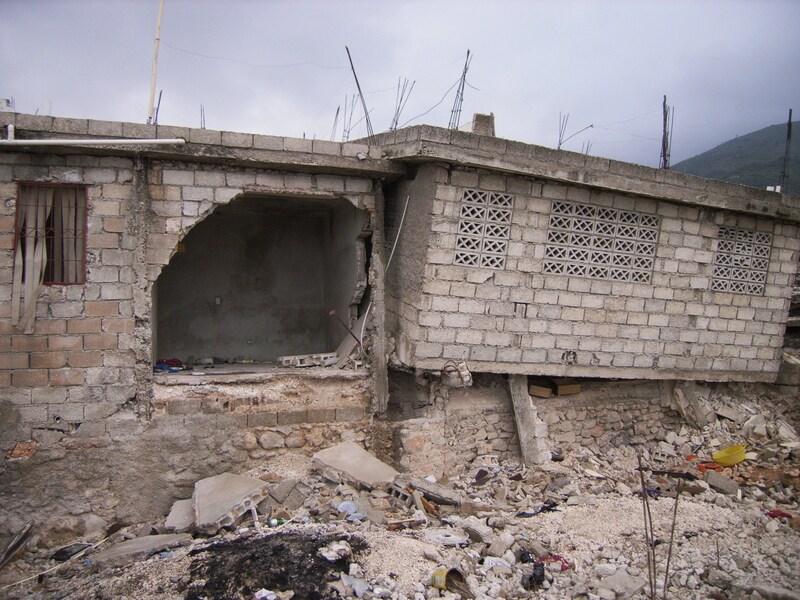 A one-story house damaged in the Haitian earthquake. 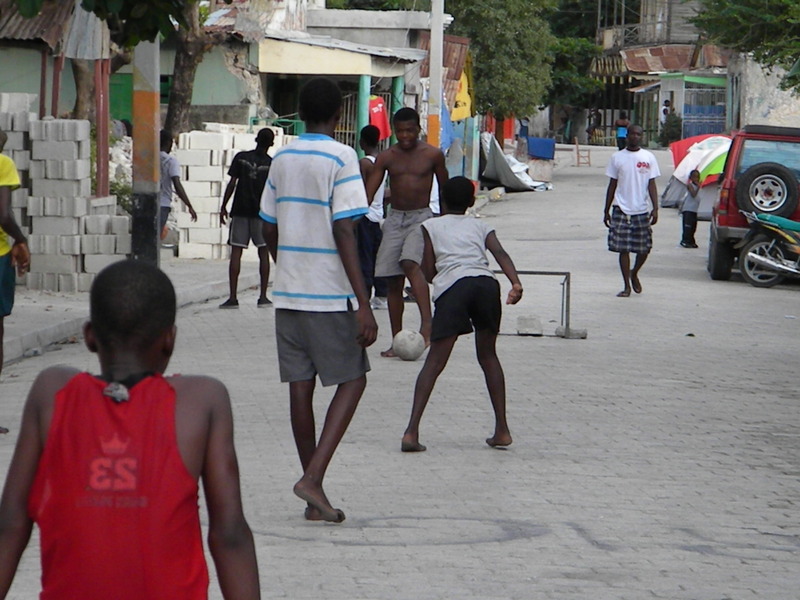 Even after the earthquake’s devastation, there is a bit of life as usual in downtown Jacmel, Haiti. 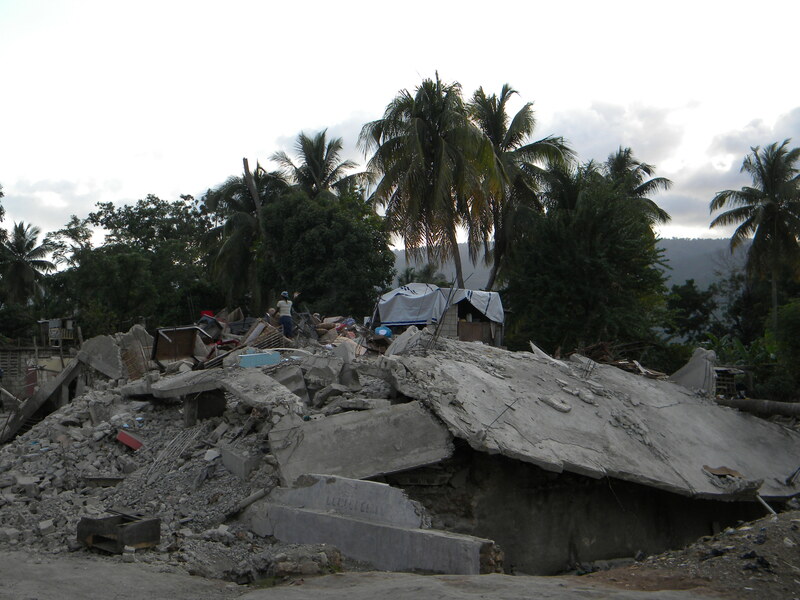 Survivors attempt to salvage belongings from destroyed homes in downtown Jacmel, Haiti. 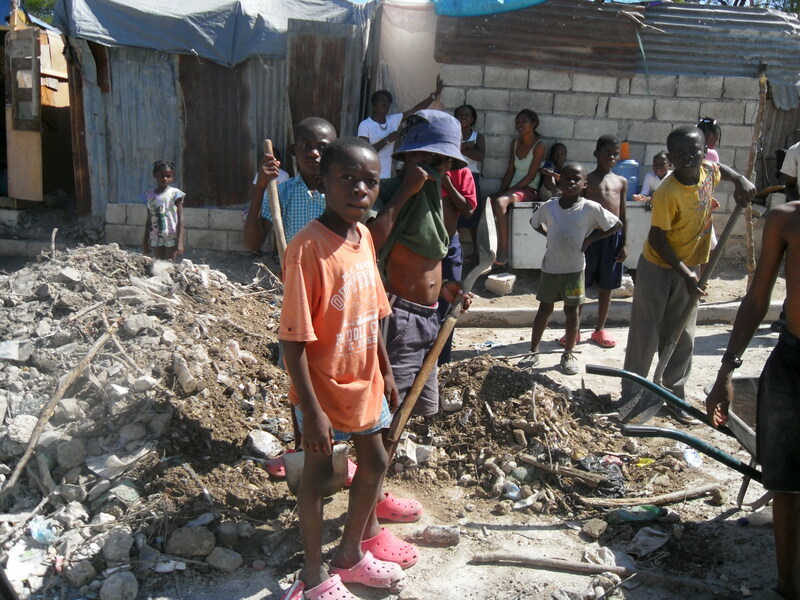 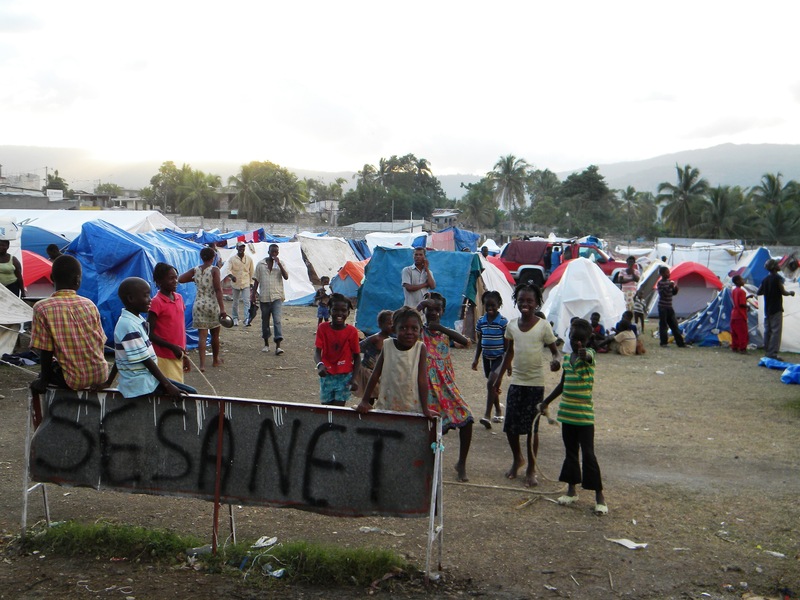 Making the most of life in Pinchinat, Haiti; these children are on a break from jumping rope. 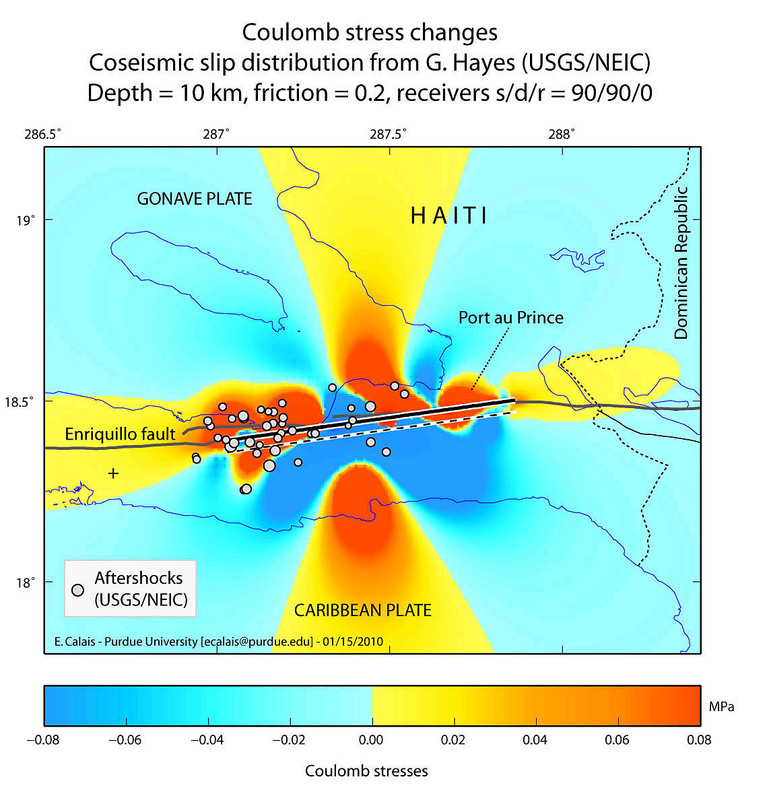 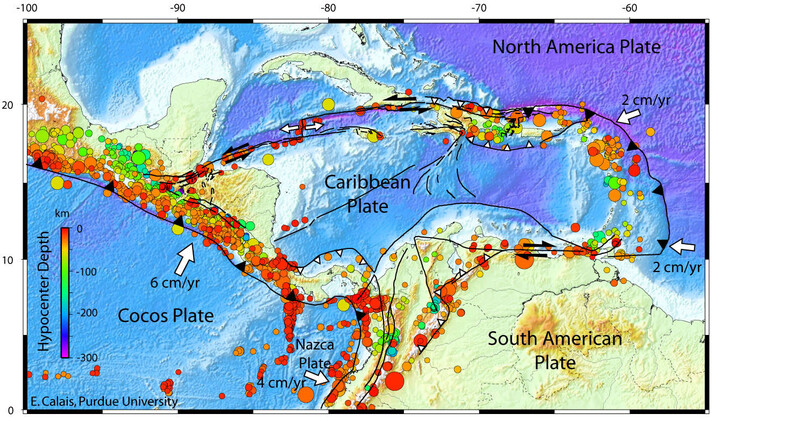 In this map of Haiti, areas of the Earth’s crust in red are stressed and closer to rupture; grey circles show the locations of aftershocks. 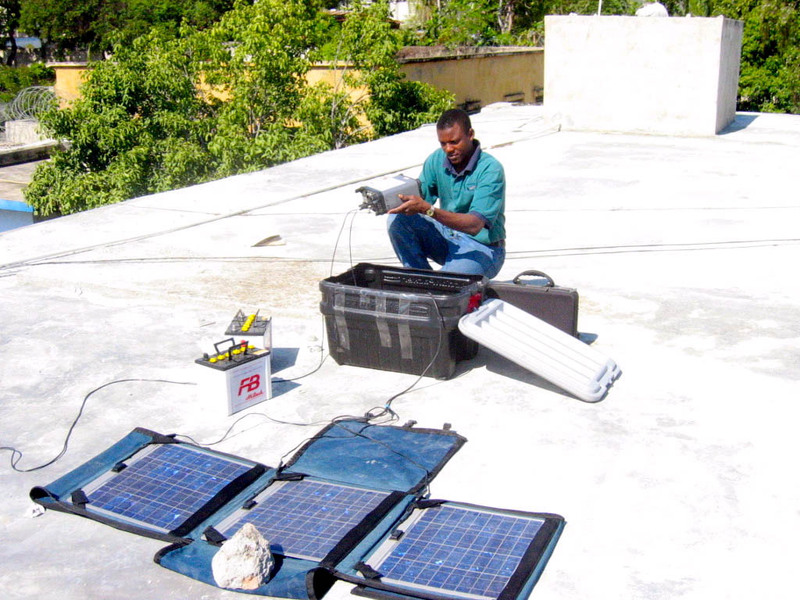 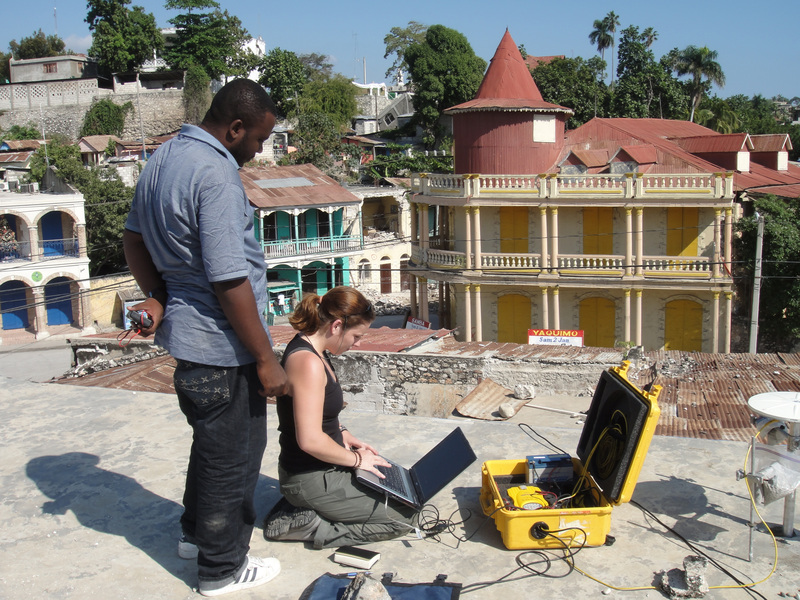 Frantz Saint Preux, a technical liason from the Bureau of Mines, and Estelle Chaussard, a graduate student from the University of Miami, record data from a GPS receiver and antenna on the roof of the central police station in Jacmel, Department du Sud-Est, Haiti.